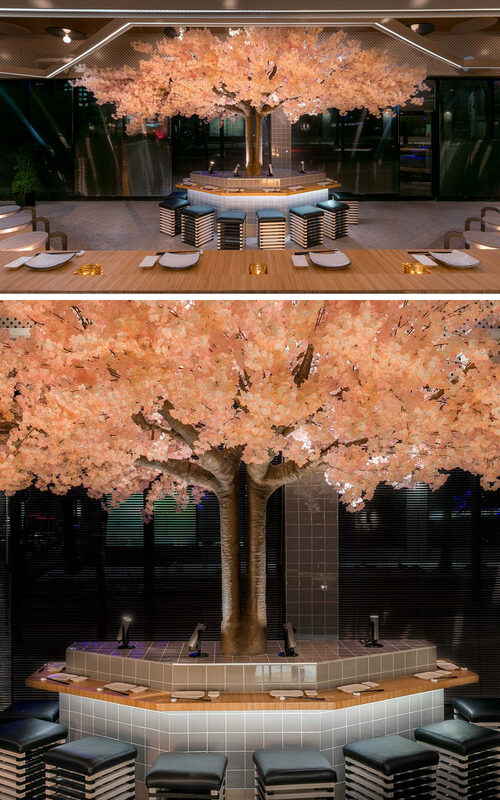 Ménard Dworkind architecture & design have completed ‘Le Blossom’, a new bar and restaurant in Montreal, Canada. 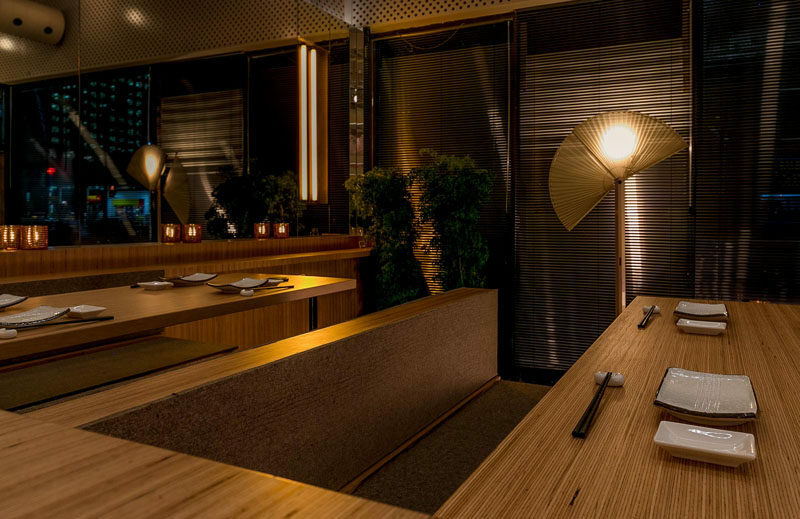 The designers drew inspiration in part from the work of Hollywood industrial designer Syd Mead, with the idea to create a singular environment, free from the usual and overused Japanese-themed clichés. 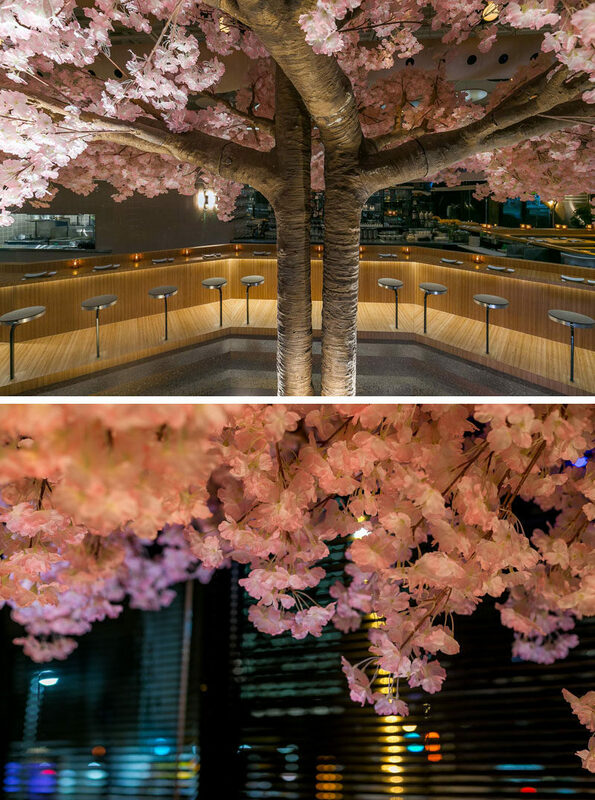 Central to the design of the restaurant is a cherry blossom tree. 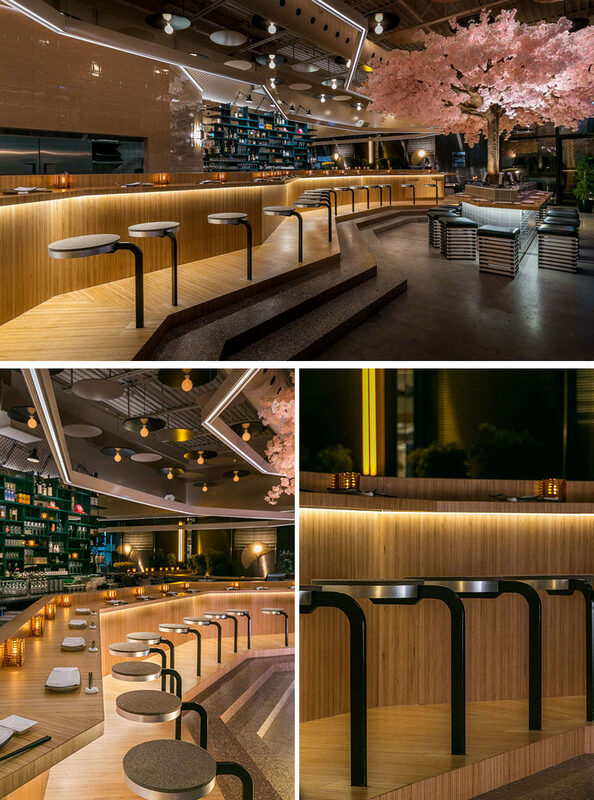 A large bar lined with stools runs the length of the restaurant. 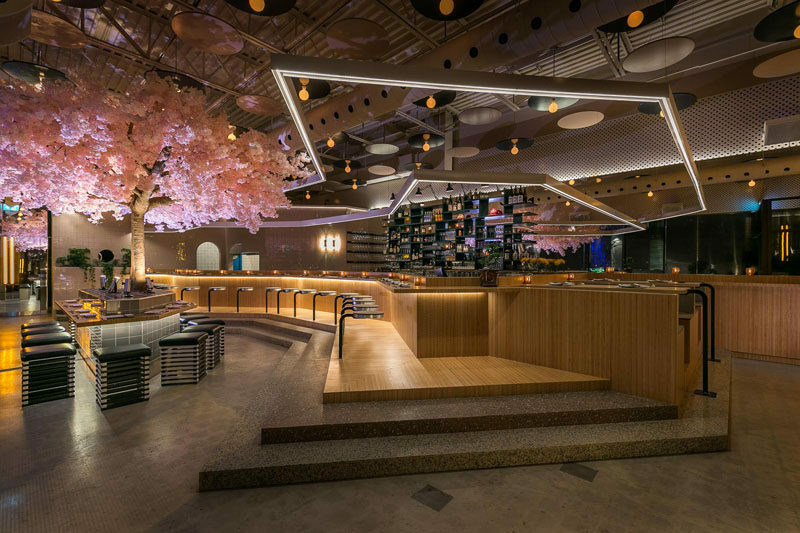 The European beech bar was prefabricated and transported in six different parts, and is comprised of three distinct stations, set to accommodate the restaurant’s three chefs. 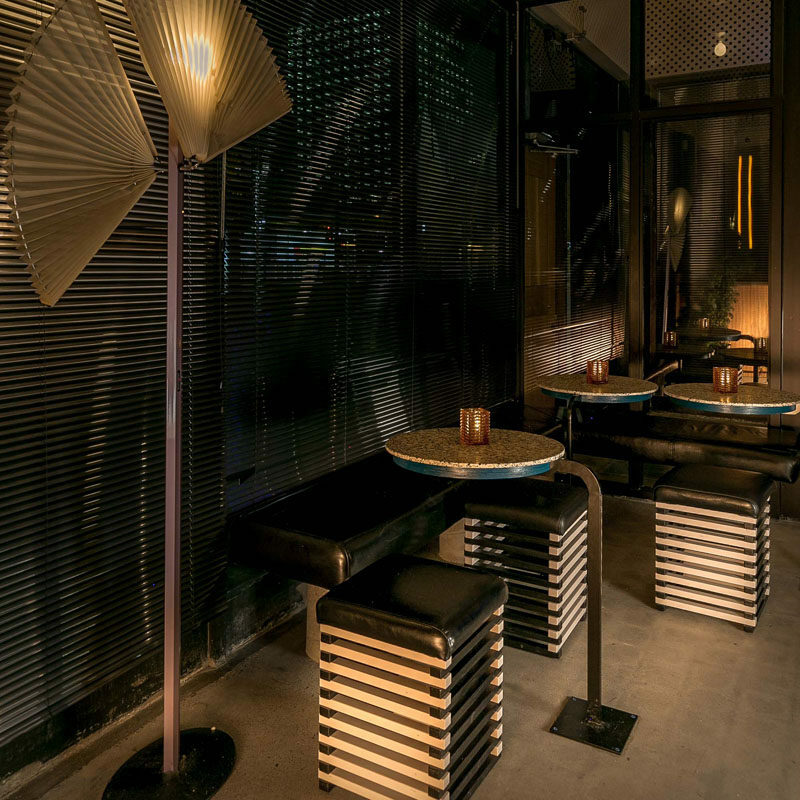 Tucked away into a corner is further seating with small tables that reflect the design of the stools at the bar. Two large tables with banquette seating are located at the end of the bar, and provide a place for small groups to gather.